Michael, age 54 of Littleton. Michael "Mike" graduated as a lineman in Halifax, Nova Scotia in 1993. 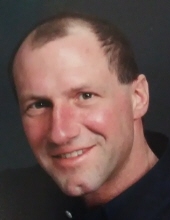 He worked for Nova Scotia Power for several years, then moved to Chicago to work there, eventually he moved to Colorado where he has worked for PAR Electric, Xcel Energy, and most recently, Ward Electric Inc. Mike loved his work and was a hard worker. He is a member of the International Brotherhood of Electrical Workers Local Union 111. Mike married Wendi Garritano and they have one son, Joseph "Joey." Mike's main goal was to raise his son and provide a good home and education. He enjoyed life and became a great cook and good neighbor in his community. Mike was a loving, caring person always ready to help others. Through his work, he went on many missions to help those in need. He traveled with his company to assist in the aftermath of hurricanes, tornadoes, floods and other disasters in many parts of the United States. He had a deep respect for Veterans and their service and sacrifices they made for their country. He loved his motorcycles and going on excursions with friends to enjoy the freedom of the open road. Mike was killed while driving home from work on his motorcycle. Two cars were road raging and one car cut across two lanes of traffic and hit Mike...he died instantly. The driver of the car has been charged with vehicular homicide. Mike is survived by his son, Joseph Michael Melanson of Littleton, Colorado; father, Chester Joseph Melanson and stepmother, Rosalie of Church Point, Nova Scotia; mother, Valerie White and stepfather Ron Lyons of Bedford, Nova Scotia; brothers Kevin of Bedford, Nova Scotia and Noel of St. Trois Riviers, Quebec, and many uncles, aunts and cousins. Mike will be remembered for his loyalty to friends, family and neighbors and for his sense of humor. Condolences can be made through the Ellis Family Services website at www.ellisfamilyservices.com on his Tribute Wall. To send flowers or a remembrance gift to the family of Michael Joseph Melanson, please visit our Tribute Store. Celebration of Life. Services will conclude at the Chapel. "Email Address" would like to share the life celebration of Michael Joseph Melanson. Click on the "link" to go to share a favorite memory or leave a condolence message for the family.